Unveiled about a year ago, the one-of-a-kind BIGFOOT #20 electric monster truck strikes from time to time and crushes gassers when he finds a few extra laying around. 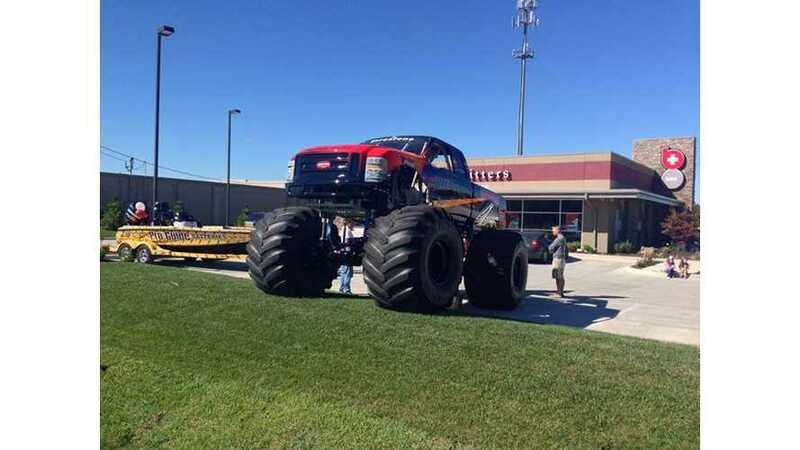 A few days ago, BIGFOOT #20 showed up for the grand opening of a new Battery Outfitters store in Springfield, Missouri. 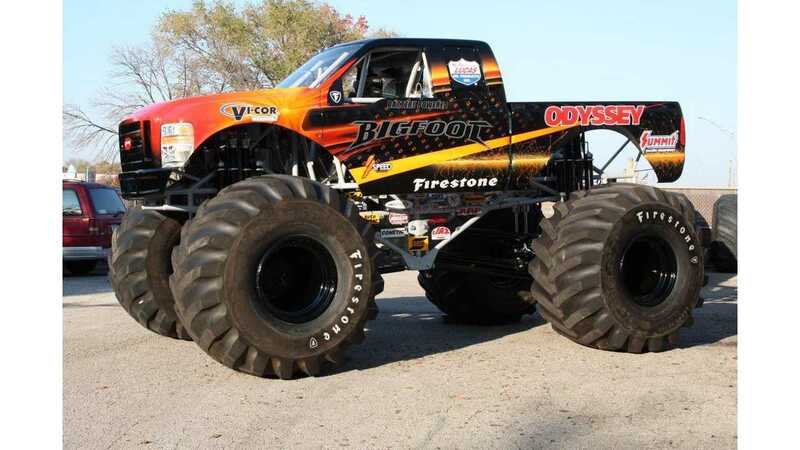 Yes, BIGFOOT #20 likes batteries (pack consists of 30 PC1200 from Odyssey Battery), but isn't fond of gassers.